Florence, New Jersey, has slowly been growing in terms of population and commercial businesses over the past few years. Additionally, with major roadways like 295, the New Jersey Turnpike and Route 130, it should not come as any surprise that the local municipal court and police officers frequently arrest individuals for criminal and traffic violations like Driving While Intoxicated. If you or a loved one were arrested and charged with Driving While Intoxicated (sometimes referred to as Driving Under the Influence) are subject to serious penalties. Whether this is a First Offense, Second Offense, Third Offense or Refusal to Submit to a Breathalyzer, the consequences could be life-altering. For these reasons, it is imperative that you take the time to consult with an experienced Florence DWI Attorney after you are released from police custody. There are a variety of legal tactics that may be useful in mounting a defense to your DWI charges in Florence. If you or a family member would like to speak with a Burlington County DWI Lawyer, please contact our office immediately at (609) 850-8284. What are the Penalties for a DWI in Florence? What are Standard Field Sobriety Tests for a DWI in NJ? In most Driving While Intoxicated (DWI) cases, the officer will ask the driver to perform what are known as, Standardized Field Sobriety Tests (SFST). These tests typically include things like the “Walk and Turn”, “One Leg Stand”, “Recitation of the Alphabet” (without singing) and Horizontal Gaze Nystagmus. If you demonstrate certain “clues” during the performance of your testing, the officer will have probable cause to arrest you for Driving While Intoxicated, under N.J.S.A. 39:4-50. However, each of these tests require strict compliance with testing procedures. Any deviation from testing protocols by the officer administering the tests can result in the suppression of any SFST results. Fighting the officers credentials to perform Standardized Field Sobriety Testing and his/her ability to establish probable cause for a Driving While Intoxicated arrest. For more information on how field sobriety tests can affect your DWI charge, please contact our office directly at (609) 850-8284. Where is the Florence NJ Municipal Court? If you are charged with a DWI or DUI offense in Florence Township, then you will likely have your case heard by the Florence Municipal Court (exceptions to this would be indictable offenses involving drunk driving like Child Endangerment, Assault by Auto, Heroin Possession, etc.). The Florence Municipal Court is located at the Florence Municipal Complex at 711 Broad Street. 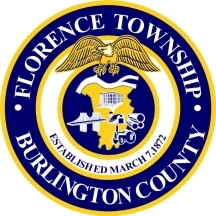 The Florence Municipal Court handles all traffic and non-indictable charges (disorderly persons and petty disorderly persons offenses) throughout the township. The Court’s sessions are held on the second Tuesday of each month at 5:00 PM as well as the third and fourth Mondays at 1:00 PM each month. The Court is presided over by the Honorable Richard Andronici, Jr., JMC, the Municipal Prosecutor is Andrew Smith, Esq., and the Court Administrator is Patricia Mellor. It is important to maintain a level of respect between yourself and the court staff so as to ensure that your case is handled in a fair and expeditious manner. As you can see, DWI charges in Florence carry serious financial consequences and potential incarceration. Therefore, it is imperative that you have a strong understanding of the DWI laws in New Jersey if you have any hope of successfully fighting these charges. Simply asking the judge for a reduction in your charges will not suffice. At Proetta & Oliver, our firm specializes in criminal defense and DWI laws. Firm Partner, William C. Fay, IV, Esq., is a former New Jersey Deputy Attorney General with a plethora of legal experience. Alongside him is William A. Proetta, Esq., who is a certified administrator of the Standardized Field Sobriety Tests as well as being certified in the administration of the Alcotest used by Police Departments in New Jersey. For an immediate and complimentary consultation with one of our attorneys, please contact or office directly at (609) 850-8284. We can be reached 24/7 for your convenience and handle cases throughout the area, including towns like Evesham, Mt. Laurel, Bass River, Southampton, Pemberton, Westampton, Cinnaminson, Burlington Township and Bordentown. Please do not hesitate to reach out to our office with any questions or concerns you may have about your pending DWI case in Florence Township, New Jersey.